Pregnancy has not been the kindest to my skin or skincare routine. I mean, you can’t really use a lot the things that you were using before so your skin is going to shift. But, they told me little girls steal your beauty and I’m not having a girl so I should still be a beaut, ya know? I think that is one of the many things that you learn about pregnancy – everyone is different. Some people have never had acne until they conceived and others have clear skin after having a child. I’ll probably be the person that had acne before and will still have it after because I have hormonal acne and it doesn’t want me to be great. But, that’s okay because I can go back to my old products like retinal and show the zits and cysts who the boss is around here. Nonetheless, pregnancy is a time where you are encouraged to try new things for the sake of your child’s health. Nothing crazy or out of the ordinary but things that most would consider a healthy alternative. If you have not heard of African Black Soap, it’s pretty great. I have the bar soap that is used on my face with my Clarisonic. The perks of African black soap include helping heal acne and eczema, fades discoloration and hyperpigmentation, relieves dry skin, and helps even out your skin tone. 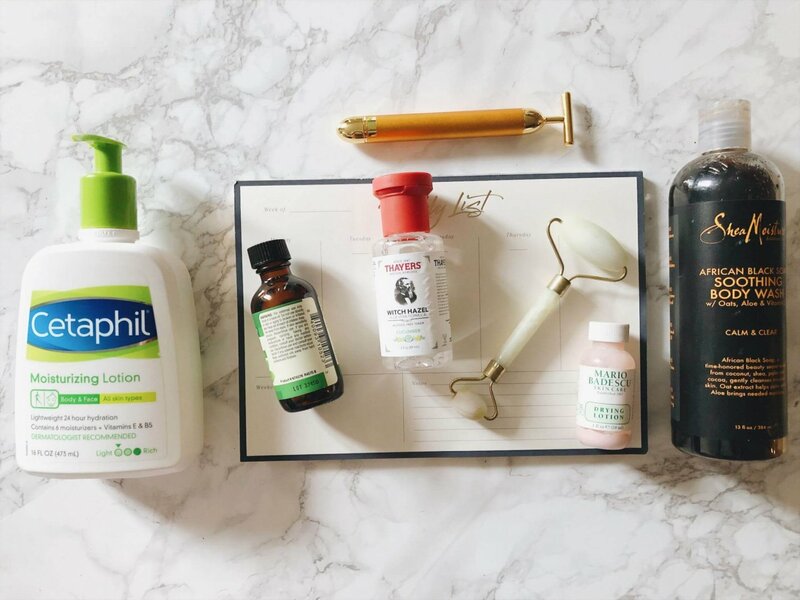 These are all things I need especially as my skin has broken out towards the end of my second trimester. This soap has become a staple in our household as I use it and Chase uses it so we have our own bars. I will say that I see changes as long as I stick to my routine. My sister brought some Witch Hazel home once and I got hooked. I use it as a toner for my skin after I wash my hair and before I moisturize. I find that it helps with redness and healing my hyperpigmentation. It has always been recommended to me by my dad back in the day. I think that’s because he doesn’t think you have to invest hella money into skincare. Witch Hazel is very affordable and it should be easy to find at your local retailers. I will say that I enjoy using it at night after I scrub my face because it gets that last trace of dirt off my face. It has been a lifesaver during this pregnancy because I don’t need another thing (makeup) added to clogging my pores. I’ve always been dedicated to Aveeno and their products but my beloved brand has left my skin oily so I had to make a switch. Cetaphil is a staple brand. I’ve heard people talk about it and it’s a household product at my parents’ house. 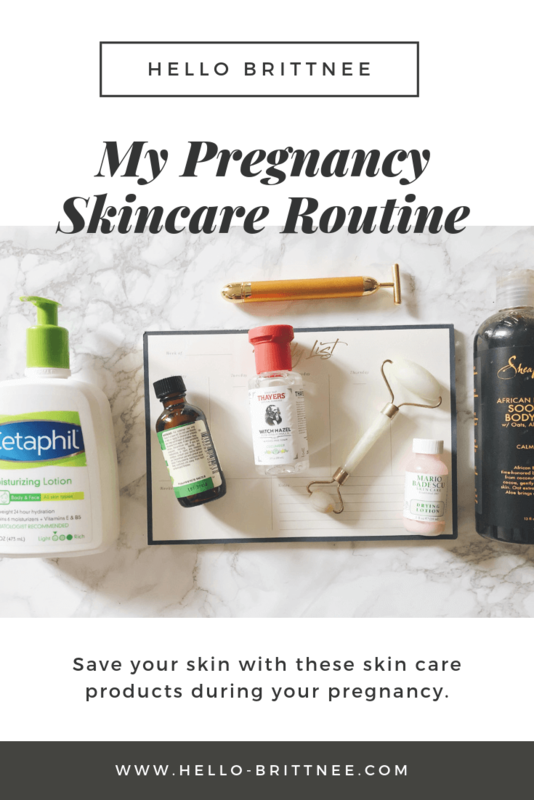 I never was one to really give it a chance outside of using the samples for when I travel but I have seen good results since I’ve become pregnant. The lotion that I have can be used on Face and Body so I’m really moisturizing my entire body which is great. I use it in the morning and at night when I’m too lazy to get my night cream. I have the combination Cetaphil so it takes care of my dry but oily face. Last but not least, Tea Tree Oil. This has been a staple in my life for as long as I can remember. I would use it in high school on my cystic acne to reduce the inflammation and dry out the pesky bump. Yes, I love Tea Tree Oil because it gets the job done. I have small whiteheads and papules at the moment so it helps with drying them out. Always remember to dilute your Tea Tree Oil. Unfortunately, I haven’t a few times in the past and I paid for it. I will warn you that there is a smell, you can either love it or hate it. I don’t mind the smell but my dog takes off. Please remember it’s toxic to animals so keep it out of reach of your pets! Mario Badescu was a staple in my life before pregnancy. Any zit that popped up on my face had to deal with this drying lotion because it’s just that good. 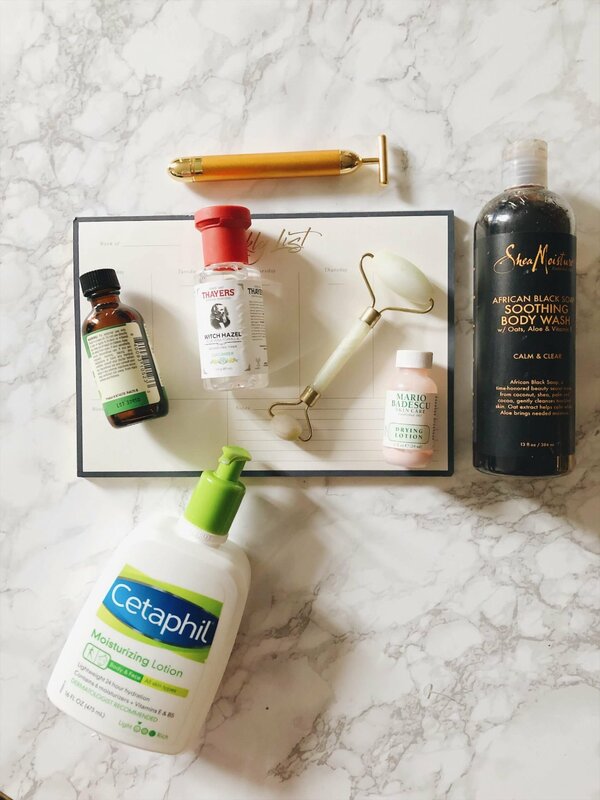 If you have followed along on my skincare journey, you would know that I dealt with cystic acne and my hormones are to blame. I never really could find a staple piece that I trusted but Mario Badescu Drying Lotion came through. I don’t use this when I use Tea Tree Oil because that’s too much for the skin. If you want something that is going to work in a few days or overnight, this is your best bet. Lastly, these two gadgets are more of a self-care use compared to the other products. With a Jade Roller, I had read about them in different posts and heard about them through my podcasts. You can find anti-aging benefits with your jade roller when it comes to wrinkles and fine lines. Also, you can use it to massage to increase circulation, increase product absorption, and stimulate lymphatic drainage. Not necessarily all about acne but your face, in general. With the face massager, you are looking at the same benefits as the jade roller — anti-aging effects. You can count on the face massager to improve how your skin looks as it promotes circulation and blood flow. Plus, it relaxes and massages the face muscles. I would utilize both of these gadgets in the morning on the weekend when I woke up as a form of self-care and just feeling like myself in some way. Do you have experience with terrible skin during pregnancy? What are some of your tips and tricks?